In this article I will be showing you how to create a promotion specifically to prompt your customers to sign up for a store account by offering them Smile.io rewards points. Step 1: If you don't already have a Smile.io account, install the app on your site and set up your Smile.io account. Within Smile make sure you create a sign up earning rule to reward customers with points. This app allows you to reward your customers for completing valuable actions such as making purchases or referring friends. 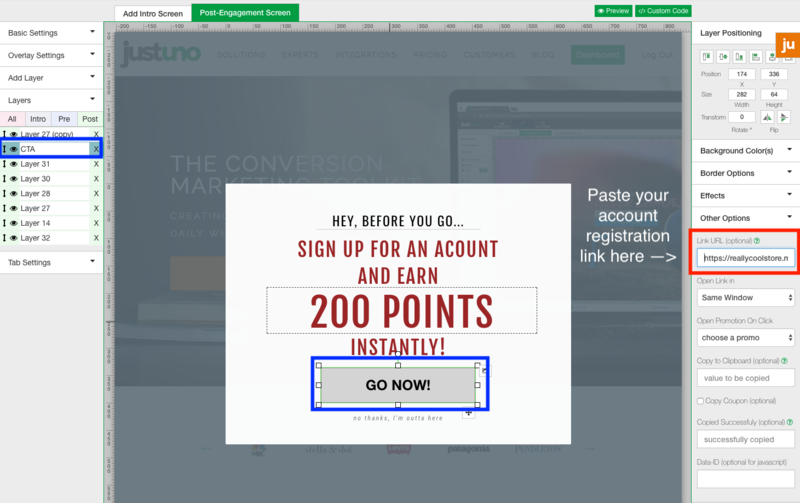 Step 2: Create an unlocked promotion with a "CTA" layer (outlined in blue below). 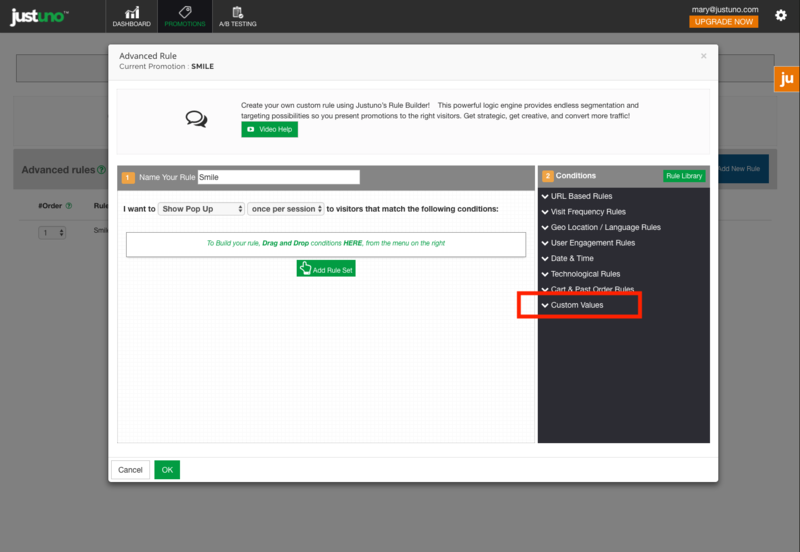 Step 4: Create a targeting rule that shows the popup to users who are NOT currently logged in. To do this, go to the "Rules" section of the design canvas and add a new "Advanced Rule". Click on the "Custom Values" dropdown on the right side of the page (outlined in red below). Then select the "Does Not Exist" option from the dropdown next to it. These options are shown below outlined in red. 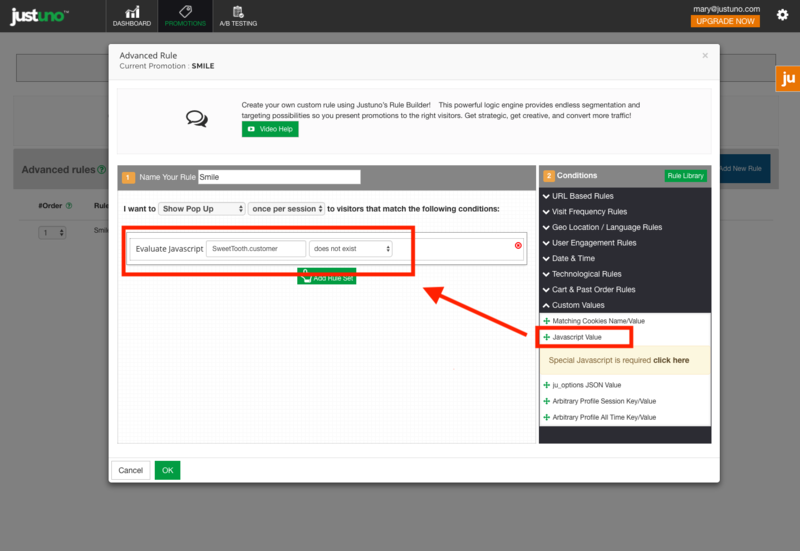 Step 6: Save and publish your promotion and let the customer accounts roll in!